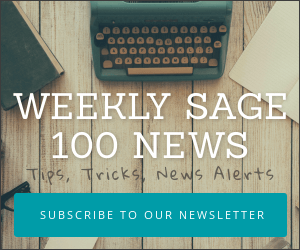 Sage has released product update 5 for Sage 100 2018. You can download Sage 100 2018.5 from this link and also view a full list of all fixes or enhancements which were added by downloading this Sage 100 2018.5 What’s New guide (PDF). Before installing any updates please check with your Sage partner. If you have third-party integrations you will need to verify that those integrations are compatible with this update prior to installation.